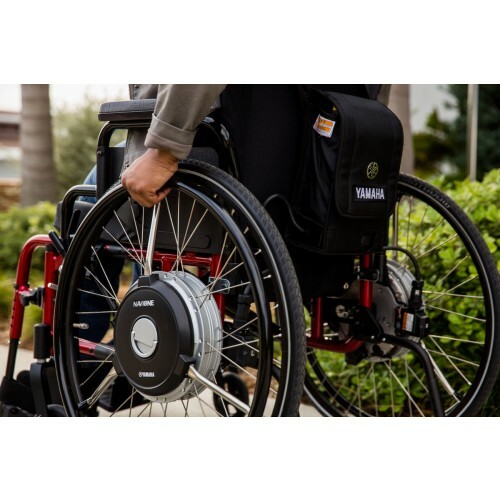 The NAVIONE from Yamaha is an empowering, innovative and intuitive power assist system that can enable manual wheelchair users to expand the range of their day-to-day lives. 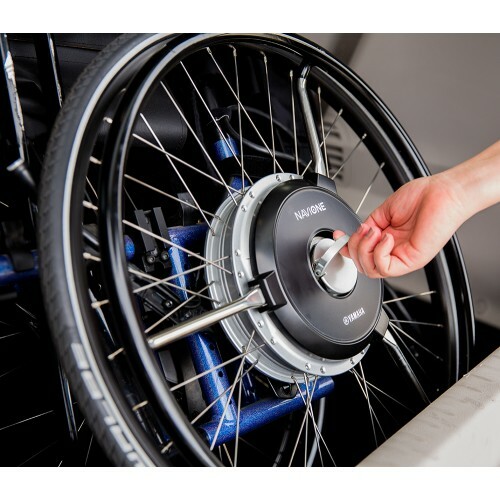 The sleek, efficient design retains the manual wheelchair look, for an entirely new level of confidence, reassurance, and independence. NAVIONE can help to reduce the added shoulder pain caused by the manual operation, yet still allows for upper extremity exercise (even while using power assist). 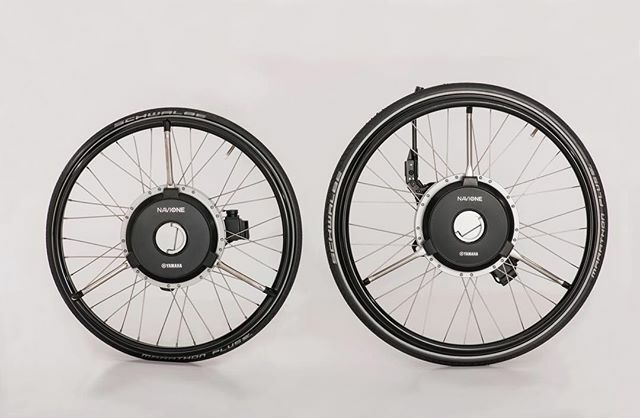 Wheel Size* Choose One 22" 24"
Averages 12.5 miles per charge, 6 lbs. Averages 22.5 miles per charge, 7 lbs. 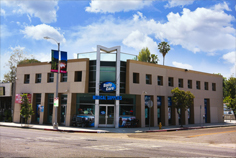 The NAVIONE is more than just a new spin on mobility technology. It is an empowering new way of exploring and experiencing your world, on your terms. 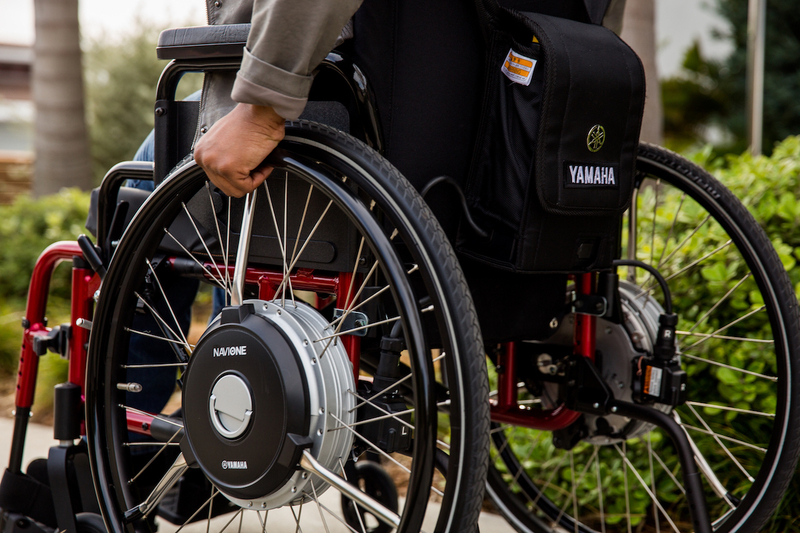 NAVIONE is Yamaha’s innovative and intuitive power assist system that can enable manual wheelchair users to expand the range of their day-to-day lives. Employing Yamaha’s legendary electric power assist technology, NAVIONE provides additional power, helping to potentially reduce rider fatigue and pain. 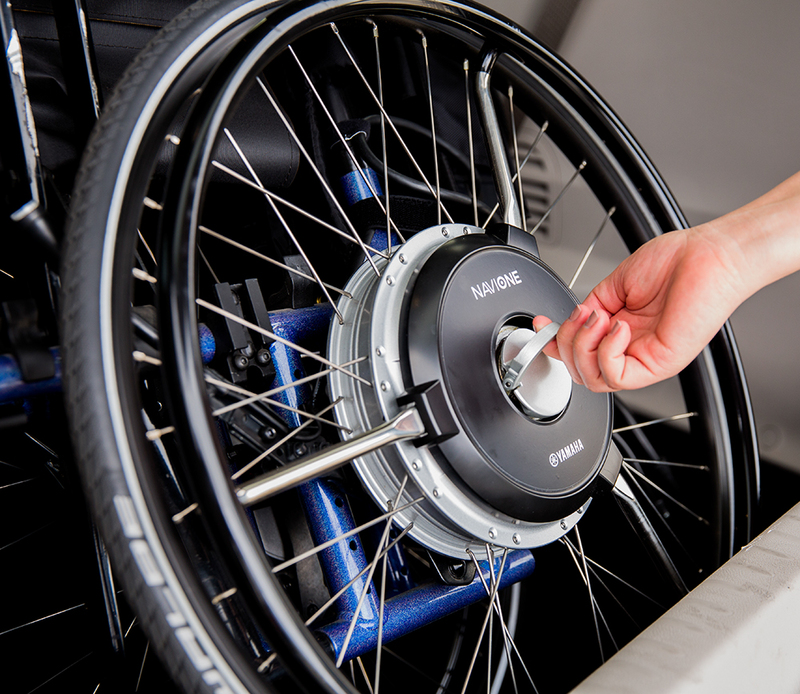 NAVIONE’s versatile and adaptable system can integrate with most modern manual wheelchairs. 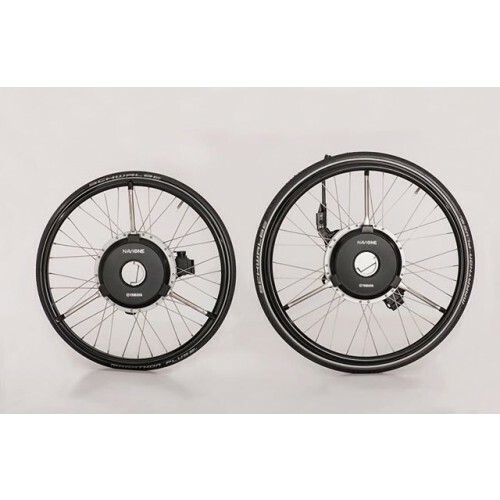 And the sleek, efficient design retains the manual wheelchair look, for an entirely new level of confidence, reassurance, and independence. There are lots of reasons to look into NAVIONE. 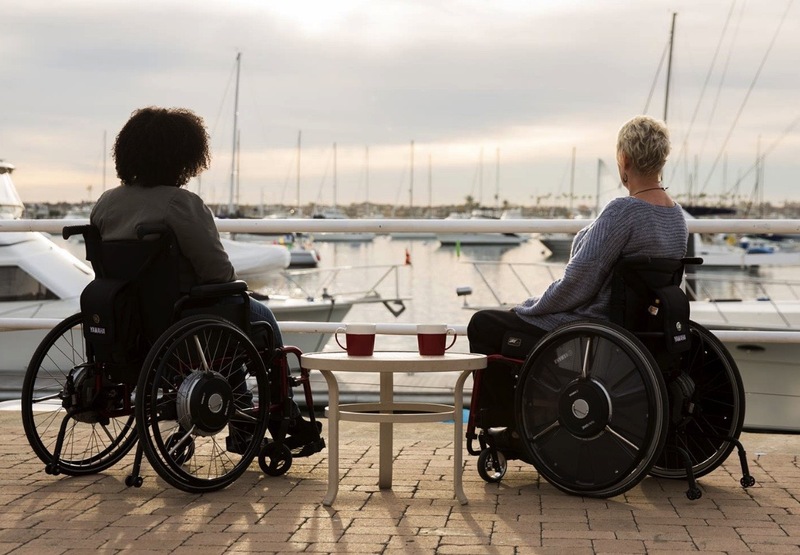 Here are just a couple: It can reduce average heart rate and oxygen consumption while providing the independence users want to explore more of the world around them. Additionally, NAVIONE can help to reduce the added shoulder pain caused by the manual operation, yet still allows for upper extremity exercise (even while using power assist). 1 year on the battery. 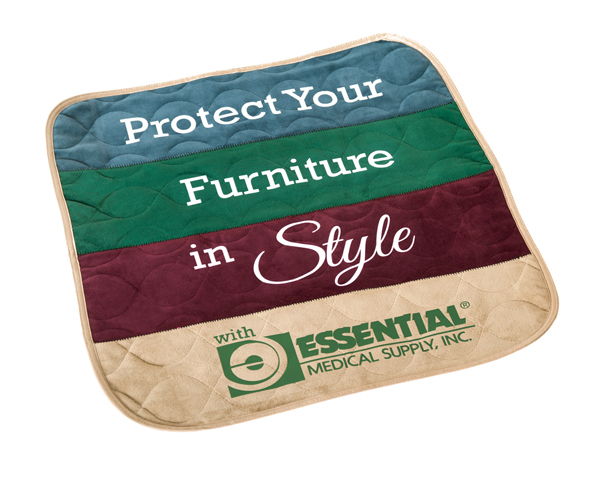 (The chemical cells inside the battery do not offer any warranty coverage).